Rhetorical—A common rhetorical device in the exordium (introduction) of the speech or letter was the so-called captatio benevolentiae (“capture of good-will”), through which the speaker/writer seeks to gain the audience’s attention and interest with complimentary words, or by offering praise. Paul often couches this praise in the context of his offering prayer to God. Theological/Spiritual—On the one hand, the thanksgiving genuinely reflects Paul’s care and concern for the believers in the regions where he had worked as a missionary, and for the churches he had helped to found. At the same time, his thanksgiving formulae also contain a seminal theological statement that unfolds out in a long sentence, with a distinct Christological (and often eschatological) emphasis. From a rhetorical standpoint, this focuses his audience’s attention squarely on their religious identity in Christ. Again, the emphasis is squarely on the believers’ identity in Christ, here defined in terms of being called by God. After the thanksgiving, Paul turns to the main proposition (propositio) of the letter and his reason (causa) for writing. This is outlined in verse 10-17, with the propositio of verse 10 emphasizing the need for unity among believers, in the light of apparent divisions (and divisiveness) in the congregations. This lack of unity at Corinth had been reported to him by “the (people) of Chloe”, which could refer to the people of Chloe’s household, or to the house-church led by Chloe (meeting in her house, etc). In either case, she was clearly a prominent women in the Corinthian church. Her name is literally “Green” (Xloh/), presumably in the sense of “fresh, tender”, i.e., young and beautiful. It is worth noting her name here in light of the current series Women in the Church which I am presenting on this site. The next article (Part 4) of this series will focus on Romans 16:1-2ff, which features another prominent woman of Corinth—Phoebe, minister (dia/kono$, diákonos) in the Corinthian port town of Cenchreae. For an overview, see Part 1 (on 1 Cor 11:2-16). In chapter 14 Paul gives practical instruction regarding the use of believers’ spiritual “gifts” (charismata, cf. chaps. 12-13) in the worship-meeting. Indeed, we have here some of the earliest detail on how worship-meetings were organized in the New Testament period. While it is possible that the information in 1 Corinthians reflects some measure of local or regional development, there was doubtless much in common with meetings as they were held throughout the early Christian world. It clearly was what we would call a charismatic worship setting—i.e., with believers participating (speaking, etc) as the Spirit prompted them, and according to their spiritual gifting (cf. 12:4-11). In verses 1-25, Paul deals specifically with the practice (and gift) of speaking in tongues (i.e. foreign/strange language). It would seem that some congregations in Corinth were giving undue or exaggerated importance to this phenomenon, with utterances being offered without any corresponding interpretation. Paul gives instruction with regard to this, and contrasts the practice in general with the giving of a prophetic message (in the ordinary language of the congregation); clearly he would prefer that the Corinthians’ meetings be characterized more by prophecy than by messages in a foreign language. As noted in Part 1, in this early Christian context, ‘prophecy’ (or ‘prophesying’ [profhteu/w]) refers to an inspired utterance or (short) message in which the word and will of God was communicated to the congregation. According to 11:2-16, men and women both could preach or deliver such messages, as long as it was done within certain specific religious custom (and associated dress-code). Here in verses 26-33a, Paul urges especially that those who actively participate (taking a leading/speaking role) in the worship-meeting do so in an orderly, respectful manner. In particular, no more than two or three persons should give a prophetic message, each in turn (v. 29, 31). The speaker would be standing, while the others in the congregation were sitting. A person seated may be prompted to respond to the speaker’s message; if so, then the speaker should yield (in an appropriate way) to that person, so that a fresh revelation may be added and shared with the Community (v. 30). According to Paul, this also was a way to test and regulate the “spirit” in which a prophet spoke—i.e., by the willingness to yield and recognize another believer’s insight (v. 32). All of this is rather foreign to us today, though there are perhaps loose parallels in some of the modern Pentecostal/Charismatic churches, as well as in the traditional Quaker meeting. However, it is important to understand the religious context; otherwise, an interpretation of the verses which follow (vv. 33-36ff) is sure to be severely flawed. On the text of 14:33b-36—A number of commentators have felt that verses 34-35 may be an interpolation, i.e. something added to the original text by an early scribe or editor, either from another letter of Paul (even another Corinthian letter) or as non-Pauline material. The textual basis for this view is that, in several manuscripts and other witnesses (D F G 88* d g Ambrosiaster etc), verse 34-35 appear in a different location (after v. 40). Such ‘floating’ text in the manuscript tradition is often indicative of a secondary addition. However, no manuscript or version is without these verses; and the textual variant most likely is the result of the feeling, by one or more scribes, that vv. 34-35 fit better following verse 40. Indeed, vv 33b-36 as a whole seem to be somewhat out of place, disrupting the flow of the passage—note how verse 37ff follows smoothly after v. 33b—though many other abrupt digressions can be found throughout Paul’s letters, and could just as well be viewed as a mark of authenticity. It is understandable that many modern commentators might regret Paul’s words and the language he uses in vv. 34-35, and wish that they were not part of the original letter. Here I will limit comment to several key words and phrases, in verses 34-35 especially, as it will help to focus the interpretive questions related to the passage. Earlier commentators had taken v. 33b (“As in all the congregations [e)kklhsiai] of the holy ones [i.e. saints]”) with vv. 26-33a, but it is probably better understood as introducing what follows. The phrase has a similar place (and purpose) as in the concluding statement of 11:2-16—Paul is referring to the common practice and custom of churches everywhere as a way of persuading the Corinthians to accept his instruction. ai( gunai=ke$ (“the women”)—as I discussed in Part 1, gunh/ (“woman”) can also mean “wife”, just as a)nh/r (“man”) can mean “husband”; even more so than in 11:2-16, Paul seems to have married women in mind here. The phrase “in the congregations [e)kklhsiai]” probably carries the specific meaning of the assembly or worship-gathering. V. 28—If a speaker wishes to give an utterance/message in a foreign language (“tongues”), but there is no one to interpret it, he ought to hold back the message and remain silent. V. 30—If a revelation has been given to a person sitting (and hearing a prophetic message), and that person wishes to speak, the earlier speaker ought to yield (“be silent”) and let the revelation be heard. e)pitre/petai (“[it] is turned [over] upon”)—the full phrase being “it is not turned over to them to speak”, which could mean either: (a) “it is not permitted for them to speak” or (b) “it is not their time/turn to speak”. lalei=n (“to speak”)—What is the precise meaning of the verb here? The main possibilities are: (a) any sort of speaking during the meeting, (b) speaking a prophecy, (c) responding to the prophecy (v. 30), (d) speaking to her husband about what was said, or (e) inappropriate talk (chatter, etc). Based on the context, I would say that only (c) and (d) are viable options (cf. below). by which he means the the impulse/desire to speak must function within the proper order of things in the worship-meeting, specifically in terms of when/how a prophet or (inspired) speaker should participate in turn (cf. above). o( no/mo$ (“the Law”)—”even as the Law says”, i.e. 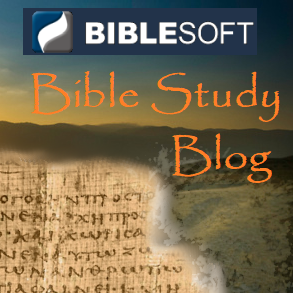 the Old Testament Law, as expressed primarily in written form in Genesis–Deuteronomy. Does Paul have a specific Scripture in mind? That is hard to say. It is unlikely that he is referring to Gen 3:16b (cf. above), though possibly he has the Creation narrative (Gen 1-2) in view (cf. 1 Cor 11:7ff, and the discussion in Part 1). The context of the order of worship could apply to virtually anything in the (Levitical) code governing religious ritual. Note a similar combination of the “the Law (of God)” and the verb u(pota/ssw in Romans 8:7. As I have argued elsewhere, the expression “Law of God” in Paul’s letters means something more than the Old Testament (written) Law, being synonymous with the will of God. maqei=n qe/lousin (“they wish to learn”)—”and if they wish to learn something”, i.e. regarding what has been said, the prophetic message in the meeting. For the sense of manqa/nw (“learn”), cf. its use in verse 31.
e)perwta/twsan (“they must ask/inquire upon”)—the verb often implies a serious questioning or interrogation, i.e., seeking to gain information. Paul states that the women must question “their own men/husbands” about the matter, in the house (i.e., privately, at home). ai)sxro/n (“shame/disgrace[ful]”)—Paul’s words here, taken out of context, sound especially harsh to modern ears: “for it is (a) disgrace for women to speak in (the) congregation(al meeting) [e)n e)kklhsi/a|]”. His use of ai)sxro/$ (“shame, disgrace”), like that in 11:4-6, is related to the idea of something which violates and mars the proper order of things (established by God). The statement in verse 36 sums up not only vv. 33ff, but entire discussion in chapter 14. The thrust of Paul’s rhetoric here is to make the Corinthians recognize that their worship-meetings ought to conform to Christian practice and custom in general. This tone continues through vv. 37-40, culminating with his final, definitive instruction: “All things must come to be well-formed [eu)sxhmo/nw$] and (done) according to order [kata\ ta/cin]”—in conventional English we might say, “all things must be done in a proper and orderly manner”. Verse 34 relates specifically back to the discussion in vv. 26-33a, especially the issue in v. 30—i.e., of those seated in the congregation who may be inspired to respond to the prophetic message, or to offer a fresh revelation in turn. Paul seems to be limiting this aspect of the worship-meeting to men. While women may function as speakers/preachers, giving a (prophetic) message, it is a different matter for those seated in the congregation. Possibly this instruction should be construed even more narrowly, to the wives seated with their husbands. Verse 35 shifts the discussion to a slightly different situation—where a wife wants to know more about the (prophetic) message that was spoken. In such instances, she should wait and discuss it with her husband at home. It is not certain whether, or to what extent, this instruction relates to unmarried women in the congregation. Some commentators have suggested that Paul has in mind wives questioning the (prophetic) message of their own husband, but that seems to be reading a bit too much into the passage. Paul probably includes both of these situations under the declaration in 35b, though the emphasis may be on the latter. As indicated above, the language of this statement sounds quite harsh (with the use of “shame/disgrace”), but the force and place of it, in context, should not be misconstrued. It is extremely difficult to apply 1 Cor 14:34-35 to the worship-setting in our churches today, since it requires a high degree of religious-cultural translation, which is perilous and unwise to attempt. It is better to spend one’s effort and energy grappling with just what Paul is trying to emphasize for believers regarding the relationship between men and women, as expressed in the corporate/community worship setting. How far should gender-distinction be preserved? How should husbands and wives relate in the worship setting? What about the distinction between ‘gifted’ minister and ‘ordinary’ congregant? Who should or should not be actively speaking/participating in the meeting, and where/when/how should they do so? Are there other aspects of the modern community worship experience which more seriously threaten proper order and custom than those which Paul addresses in Corinth? As a follow-up to the previous day’s note (on 1 Cor 11:10), I thought it worth exploring a bit further the key expression e)cousi/an e&xein (“to hold authority”). The verb e&xw is often translated “(to) have”, but more properly means “(to) hold“, that is, to hold in one’s possession or control. The noun e)cousi/a (exousía) is derived from the verb e&cesti[n] (éxesti[n])—the preposition e)c (“out of”) + the verb of being ei)mi. It indicates that which is, or comes, from a particular person or source. It generally refers to the ability for a person to do something, often in the specific sense of something which is permitted or allowed. The English word “authority” offers as good a translation as any. 1 Cor 9:4-6—to the apostles having/holding the right to be given food and drink (i.e. not to have to earn a living through other labor), to have a wife, etc; cf. also vv. 12, 18, and 2 Thess 3:9. Mark 1:22 par, where it is said by those observing Jesus that he taught “as (one) holding authority”, in contrast to the other Jewish teachers of the Law. Mark 2:10 par—Jesus declares that “the Son of Man holds (the) authority to release [i.e. forgive] sins”. Here too there is a contrast (conflict) with the Jewish teachers and leaders (vv. 7ff). According to Matt 9:8, it is God who gives/grants this authority. Mk 3:15—Jesus grants to his disciples, i.e. allows them, “to hold (the) authority” to cast out daimons (evil spirits causing disease, madness, etc); it is the same kind of authority/ability which Jesus had exhibited in his miracles. Matt 8:9—here it is used by the centurion who requests Jesus to heal his servant; he states, “I am a man under authority, holding (authority over the) soldiers under me”. Cp. Acts 9:14. John 10:18—in a foreshadowing of his upcoming death (and resurrection), Jesus declares that “no ones takes it [i.e. my soul/life] (away) from me, but I set it (down) from myself; I hold authority to set it (down), and I hold authority to take it (up) again—this is the charge (placed) on (me) I received (from) alongside my Father”. Cf. the same idea expressed in 19:10-11 (addressed to Pilate). Heb 13:10—drawing upon the Old Testament sacrificial and ritual imagery, the author states that believers have (lit. hold) an altar from which “the ones performing service in the Tent [i.e. Tabernacle/Temple] do not hold (the) authority to eat”. In other words, believers are allowed to partake (spiritually) in the holiest things of God through the person and work of Christ. Rev 9:3, etc—the idiom occurs frequently in the book of Revelation, indicating how the Angels (and other messengers of God) were given authority to perform certain miraculous actions at the end-time. In Rev 20:6 a different idea is expressed—that the “second death” (that is, death/punishment following the Last Judgment) “holds no authority” over believers. Two basic observations may be gleaned from all these passages: (1) the idiom refers to ability/authority a person has in his/her own personal control, and (2) that it has been given/granted by someone higher. The chain of authority is clear and simple: God —> Christ —> the believer. Upon returning to 1 Cor 11:10, we can see how this applies. First, the woman holds the authority herself; it is not held by another (the man), but genuinely by her. There is no sense that this ministering authority is given to her by the man; however, it does reflect the chain of authority expressed in 1 Cor 11:3. This is the second key point, and is why, for Paul, the use of the head covering is so important (however obscure it may seem to us today)—it allows the woman to exercise her authority within the context of the established order of creation. Even though the church embodies the new creation in Christ, it still reflects the original created order, fundamental aspects of which ought to be maintained. And yet, the use of the verb e&xw in v. 10 strongly indicates that the emphasis is truly on something that the woman holds (a right, power, ability, etc) in her own person. In my view, the emphasis is not on the authority of the man/husband over the woman. Her gifting to speak comes from the Spirit, but it must be exercised within the order established by God. dia\ tou=to (“through this”)—the preposition dia/ (“through”) expresses the reason or purpose, i.e. “because of this, for this reason”. It refers back to Paul’s line of argument in vv. 7-9.
o)fei/lei h( gunh/ (“the woman ought”)—the verb o)fei/lw refers to an obligation or debt, i.e. something one owes, but is often used in the general sense “ought (to do something)”. As I discussed in Part 1, gunh/ (“woman”) can mean specifically “wife”, just as a)nh/r (“man”) can mean “husband”. Probably Paul assumes the marriage relationship throughout the passage, though he does not limit the man-woman relationship strictly to this. Here the definite article (“the woman”) should be understood as referring to the woman who is acting in the role of speaker/prophet in the worship meeting, not necessarily to women in general. To be under the authority of the man (i.e. sign of submission/subordination), according to the hierarchical chain of relation in vv. 3, 7 (cf. also Eph 4:22-24); possibly meaning specifically “under the authority of her husband”. To have (protective) power against the Angels (cf. below), where the head-covering has a kind of ritual/magic purpose. To have the authority to speak as a prophet, etc. In several versions (Bohairic Coptic, etc) and writings of the Church Fathers (Irenaeus, Tertullian, etc), much of the interpretive difficulty has been eliminated by reading “covering, veil” (ka/lumma) instead of e)cousi/a. Several scholars have suggested that this gloss indicates that e)cousi/a may reflect the underlying Aramaic hynwflv (for a veil or headcovering) since the root flv can also mean “have power (over)” (cf. Fitzmyer, pp. 37 ff [citing G. Kittel]). I leave open the possibility that the Angels may represent the new created order (in Christ), which is parallel to (but not identical with) the original order of Creation. In several places in his letters, Paul refers to believers in Christ as a “new creation”—2 Cor 5:17; Gal 6:15; also Rom 8:19-23; Col 3:10 (Eph 4:24), and cf. Eph 2:15. Moreover, a “new age” has come in Christ, with the old having passed away (2 Cor 3:6ff; 5:17, etc). One is reminded of Jesus’ teaching regarding life for the righteous (believers) in heaven, where the sexual distinctions no longer have the same meaning—they will be like the Angels (Mark 12:25 par; Lk 20:36). It is possible that Paul understood believers to have something of this ‘Angelic’ status, in Christ and through the Spirit, even in this life (cf. 1 Cor 6:3; 13:1). In Galatians 3:28 (to be discussed in Part 3 of this series), Paul seems to declare that sexual differences no longer have any fundamental meaning for believers in Christ. Yet clearly, he did not teach that gender distinctions should be abolished in practice, either in the organized Community or in society at large, just as he did not call for the abolition of slavery (as a social institution). However, I do think it likely that he viewed the corporate worship of believers (the body of Christ) as reflecting a new order of creation—that is, the (old) created order transformed and perfected through union with Christ and the work of the Spirit. A proper understanding of the statement in verse 10 demands that we devote a little more attention to the specific expression e)cousi/an e&xein (“to hold authority”), as it is central (cf. above) to an interpretation of the passage as a whole. This will be done in the next daily note. References above marked “Fitzmyer” are to J. A. Fitzmyer, “A Feature of Qumran Angelology and the Angels of 1 Cor. 11:10” as reprinted in Paul and the Dead Sea Scrolls, eds. J. Murphy O’Connor and James H. Charlesworth (Crossroad Publishing Company: 1968, 1990), pp. 31-47. Originally presented in the journal New Testament Studies 4 (1957-58), pp. 48-58. As I indicated in the Introduction, proper interpretation of a Scripture passage requires first a careful study of its original historical and literary context. Trying to interpret a passage out of context, would be like taking a brick out of a wall and then trying to assign specific meaning to the brick, whereas the individual brick really only has meaning in the context of its place in the wall. I begin with the historical and literary context, then follow with a number of key exegetical notes on the passage, before concluding with a summary interpretation. First Corinthians was written by Paul sometime between 53 and 57 A.D., from Ephesus, to the believers in Corinth—that is, the congregations (house-churches) in the city taken together. Paul’s initial ministry work in Corinth took place c. 50-52 A.D. (Acts 18:1-17), just several years earlier, so these would have been very young churches. There had certainly been some correspondence prior to the writing of 1 Corinthians, including a previous letter by Paul (cf. 1 Cor 5:9-11). Much of Paul’s purpose in writing was to promote and encourage unity among believers; he deals with numerous practical questions and issues related to Church life, which may be divided into two categories: (1) problems which have come to his attention, and (2) questions addressed to him by the churches (cf. 1 Cor 7:1, etc)—the latter seem to be in focus throughout much of the second half of the letter, from chapter 7 on. Many of the questions and issues deal specifically with the organized, corporate worship of the congregations; as such, 1 Corinthians provides perhaps the earliest detail on worship-meetings in the New Testament period. Unfortunately, it is not possible to determine the precise background to the matter Paul addresses in 1 Cor 11:2-16. Clearly it relates to the dress, or attire, of the men and women who take an active, leading (speaking) role in the worship-meeting; in particular, the covering of one’s head (and hair) is at issue. There is ample archeological and literary evidence indicating the use of head-coverings—by both men and women—during Roman religious ritual (cf. Witherington, pp. 232-9). The head-covering was used specifically by the person(s) who took an active role in the proceedings, i.e. presenting the sacrificial offering, delivering prophecy, divination, etc. (cf. Livy 10.7.10; Varro On the Latin Language 5.29.130; Juvenal, Satires 6.390ff; Witherington, p. 230f). There is some evidence for women performing religious ritual with their head/hair uncovered in the Dionysian and other ‘mystery’ cults (cf. especially the Andania Mysteries inscription, in Dittenberger, Sylloge Inscriptionum Graecarum II  no. 736, 4); there is also the traditional depiction of the Pythian priestess (oracle) at Delphi. It was customary, in both the Greco-Roman and Jewish world, for married women to be veiled or with headdress, especially when seen in public, as a simple matter of decency and decorum. These are just some of the factors which may play a part in Paul’s discussion. Study of Paul’s letters has benefited tremendously in recent decades by the application of rhetorical analysis—that is, the use of Greco-Roman (and Jewish) techniques of rhetoric, both in the structuring of the letter (i.e. epistolary form), and in the way different sorts of arguments and illustrations are utilized. The basic proposition (propositio) of 1 Corinthians can be found in 1:10—a call for unity among the believers and churches in Corinth—which also serves to express the main cause, or purpose, for which Paul writes. This is expounded initially in the personal narration (narratio) which follows in vv. 11-17, the last statement of which effectively centers the basis for unity in the Gospel and the cross of Christ (v. 17), rather than in the various factions and other influences at work in the churches (vv. 11-16). In terms of classical rhetoric, the main body of the letter is called the probatio (“proof, proving”), in which the author, by various means, gives the reasons in support of his point, and seeks to persuade his audience to accept it. The body of 1 Corinthians can be divided into two main sections: (a) 1:18–4:21, which addresses the divisions in the churches directly, and (b) 5:1–16:12, which deals specifically with various issues which threaten unity and proper Christian conduct/attitudes within the churches. 1 Cor 11:2-16 belongs to this latter group, specifically among those questions or issues related to organized corporate worship. The rhetorical context—i.e. the theme of unity—is clear in the short transitional section (10:31-11:1) which leads into this passage. An important subsidiary theme is that of believers’ willingness to subordinate the exercise of the (individual) freedom they have in Christ for the good of the Community (the body of Christ) as a whole. Verse 2—The introductory praise Paul offers in this verse (e)painw=, “I give praise upon [you]”) is a rhetorical device known as captatio benevolentae (“capture of good will”), which the speaker hopes will cultivate a favorable response from his audience. Here it also serves a specific technique for moral/ethical suasion—i.e. ‘I hope that you will, in fact, (continue to) think and act this way’. ta\$ parado/sei$ kate/xete (“you hold down [i.e. hold firm to] the things given along”)—this is the thrust of Paul’s statement, that the Corinthians will continue to accept and live out in practice the instruction they have received. The word para/dosi$ (parádosis), from the verb paradi/dwmi (paradídœmi, “give along”), is an important term in early Christianity, referring to the authoritative teaching (and example) given down from the apostles and their companions (i.e. the first Christian missionaries) to a new generation of believers. This “tradition” covers virtually every aspect of Christian life in the early Church. In a period before the widespread use of Christian Scripture, apostles such as Paul, and his fellow-missionaries, personally—through oral and written communication—served as a fundamental source of religious authority for the various congregations which were established during their ministry. Paul urges them to continue following his example and instruction, even in difficult matters such as he is addressing—”even as I gave (them) along to you, (I hope you will) hold firm to these things (I have) given along”. Verse 3—Paul lays the groundwork for his position with an illustrative formula, summarizing the Christian community in a relational (and hierarchical) chain: God—Christ—Man—Woman. qe/lw de\ u(ma=$ ei)de/nai (“But I wish [i.e. want] you to see [i.e. know]…”)—this introduces Paul’s instruction, what he specifically here wants them to understand. a)ndro/$…gunaiko/$ (“of man…of woman”)—the nouns a)nh/r and gunh/ (“man” and “woman”) can also mean “husband” and “wife”, so it can be difficult to determine if Paul is speaking about the sexes in general, or if he has the marriage relationship specifically in mind. Does he assume, for example, that the woman participating (prophesying) in the worship-meeting is married? This would seem to have some bearing on his argument regarding head-covering. kefalh/ (“head”)—the force and meaning of this word here in 1 Cor 11:3ff has been much discussed and disputed by commentators in recent decades (cf. Thistleton, pp. 811-22 for a detailed summary). It has the fundamental meaning of “head”, in a literal (physical) or figurative sense. According to the latter, it may denote (1) a position of leadership or high rank (“first, foremost”), (2) a position of authority under which another is subject, or (3) the power under which another acts or comes to be. The question is complicated by the fact that Paul makes the man-woman relationship parallel with the relationship between God and Christ. If the woman is subordinate/subject to man, then, by implication, so is Christ to God; the full chain of verse 3 is formulated: “the head of woman is man, the head of man is Christ, and the head of Christ is God”. Verses 4-5—Paul states his position in these two verses, regarding how men and women, respectively, who actively participate in the worship-meeting, should treat their head (kefalh/). Note the wordplay with verse 3—here the “head” is taken literally. It is important to note that Paul is referring to those who take an active, leading role (i.e. speaking) in the meeting, summarized by the two verbs proseu/xomai (“speak out toward [God]”, i.e. pray) and profhteu/w (“foretell, tell before”). The prefixed element (preposition) pro/ (“before”) can be understood as either “tell something beforehand, i.e. foretell” or “tell something before (i.e. in front of) others”. The New Testament usually has the former meaning, especially when referring to the Old Testament Prophets announcing the future (regarding Christ); however the latter meaning better fits the corresponding Hebrew abn, as a spokesperson or representative of God before the people. In the context of early Christian life and worship, Paul clearly also has this broader meaning in mind, especially as prophecy (or prophesying) is regarded as the second greatest of all the “gifts” (charismata) of the Spirit (second only to apostleship), cf. 1 Cor 12:28ff; 14:1ff (also Rom 12:6). According to chapter 14, the uttering of ‘prophecy’ was central to the worship-meeting, similar to, and (it would seem) characterized as, both revelation and teaching. It refers primarily to the communication/presentation of the word of God—as such, it holds a comparable place to preaching and the traditional sermon of later times. In 14:26-31, Paul indicates that it was common practice for multiple persons to deliver a prophetic message at a meeting, though he recommends no more than two or three, in turn. kata\ kefalh=$ e&xwn (“having/holding down [upon the] head”)—this refers to some kind of covering upon the head; it is not clear if Paul has something specific in mind, he seems to be speaking generally (i.e. anything upon the head). kataisxu/nei th\n kefalh\n au)tou= (“he brings down shame/disgrace [upon] his head”)—Paul bluntly states that a man who prays/prophesies with something on his head disgraces/dishonors his head. The play on words (from v. 3) could mean that he dishonors Christ (his “head”) as well. a)katalu/ptw| th=| kefalh=| (“without a cover[ing] down [upon] the head”)—for a woman who prays/prophesies, the situation is opposite: doing so without a covering on her head brings disgrace to her head. Again, according to verse 3, this could be taken to mean that she also dishonors the man (i.e. her husband, her “head”), and, by extension, Christ. Verse 6—At the end of v. 5, Paul introduces a comparison between the shame of a woman prophesying ‘uncovered’ and that of a woman whose head/hair has been shaved off (i.e. cut by a razor, cura/w). In verse 6, he uses the parallel verb kei/rw (“shear”), which can be used of sheep, but also in the context of the Nazirite vow. Paul doubtless is indulging in a bit of rhetorical exaggeration here: he is trying to emphasize that this is no trivial matter; in his view, within the cultural-religious context of the Christian worship-meeting of the time, a woman participating in this way without head-covering, was shameful and scandalous. It must be admitted that the precise force of Paul’s argument is lost for us today. The first interpretation indicates a strict subordination, in which it is hard to avoid the idea that the woman’s status/position is somehow subordinate to the man’s. The second view is less obviously offensive to modern-day sensibilities. do/ca (“esteem, honor”, i.e. “glory”)—this word is typically translated as “glory”, but this can be somewhat misleading; often “honor, esteem, dignity, etc” is closer to the fundamental meaning. It is used to render the Hebrew bodK*, literally “weight”, but also in the sense of “dignity, honor”, and is likewise translated “glory” frequently in English. The Genesis account (Gen 1:26-27) to which Paul alludes makes no mention of “glory”, but Paul has added this as a kind of interpretive gloss, it would seem, to make it more fitting to the man-woman relationship in his argument. It would be rather strange (and inappropriate) to speak of woman as the image (ei)kw/n) of the man; he has deftly substituted in “glory/honor/esteem” (do/ca) instead. Paul does not use the kind of reciprocal language as in 1 Cor 7:2-4 etc—he does not say “…and man is the glory of woman”. It is hard to avoid the conclusion that Paul specifically has in mind the marriage relationship. Even so, in what sense is the woman (or wife) the glory/honor of the man? This must be answered in light of the conceptual framework of 11:3 (cf. above). Verse 10—The statement is central to verses 7-9 and 11-12, both of which refer to the created order. This is key to a correct interpretation of this difficult sentence. e)cousi/an e&xein (“to hold authority”)—the noun e)cousi/a is rather difficult to translate literally into English; it has the basic meaning of ability, i.e. the ability coming from a person to do something, though occasionally in the sense of a right or permission granted by a higher power. The verb e&xw can mean “to have”, generally, but more concretely “to hold“. The expression in context is, “to hold authority upon the head [e)pi\ th=$ kefalh=$]”—i.e., by way of the symbolic head-covering. dia\ tou\$ a&ggelou$ (“through the Messengers”)—the preposition dia/ (“through”) is usually understood in terms of reason or purpose (i.e. “because of”). The word a&ggelo$ (ángelos) most likely refers to a heavenly Messenger (i.e. Angel), as commonly in the New Testament and other Jewish writings of the period. This seemingly ambiguous phrase will be discussed in detail (along with verse 10 as a whole) in a separate note. Verses 11-12—Paul returns to the theme of vv. 7-9, that of man and woman (husband and wife) in the created order of things—but instead of a hierarchical (vertical) relationship emphasizing subordination, we find a reciprocal and complementary (horizontal) relationship emphasizing interconnection. Both aspects of the relationship ultimately stem from God (vv. 7, 12b), and are to be understood within the context of Christian unity—”in the Lord” (e)n kuri/w|). For more on the relation to vv. 7-9, cf. the note on verse 10. Verses 13-15—here is a further argument from nature (fu/si$) and custom, parallel to the argument from Scripture in vv. 7-9ff. Paul’s appeal to the Corinthians to ‘judge for themselves’ is a rhetorical device—i.e. “surely you yourselves must realize…”—placing the argument in the context of reason and common sense. It is possible to be thrown by Paul’s syntax, but the argument in vv. 14-15 is quite simple: it is natural for a woman to have long hair, and a man to have shorter hair => it goes against nature (and is thus shameful) for a man’s hair to be long and woman’s to be short. A head-covering and long hair each serve, in their own way, as a peribo/laion—lit. something “cast around” one’s head (i.e. a mantle or hood). Long hair comes to a woman by nature, the head-covering by way of custom and ritual symbolism. Verse 16—Paul finally appeals specifically to Christian custom and tradition. The word sunh/qeia refers to something (Christians) habitually do together, i.e. common custom. According to Paul, the custom of women praying publicly or preaching/prophesying in the worship meeting with their head covered (and the reverse for men), was something that all “the congregations [e)kklhsi/ai] of God” observe. filo/neiko$ (“fond of quarrels”)—this adjective refers to someone who “loves a quarrel”; the element nei=ko$ connotes strife or fighting with a desire to gain victory. In English idiom we might paraphrase as “one who loves a fight and always wants to have it his/her own way”. Paul’s exact phrase here is, “if any(one) thinks/seems [dokei=] to be fond of quarrelling…” He appears to be anticipating some opposition to his instruction; it may also simply be a rhetorical device—i.e. even if you do not accept my arguments, realize that you are going against the accepted practice and custom of Churches everywhere. In many ways early Christian life and worship represented something entirely new. In the Jewish Synagogue tradition, women were segregated from men and limited to private (silent) prayer during the worship meeting. This was not so in the early Christian Community, in which men and women, from the beginning it would seem, worshiped together side-by-side essentially as equals (cf. Acts 1:14; 2:1-4, 17-18). On the other hand, there was a tradition of women oracles and officiants of the religious ritual in the Greco-Roman (pagan) world. It is possible that Paul (along with other early missionaries) was attempting to navigate a middle way between these two competing religious-cultural approaches. Women could take an active, leading role, together with men, in the worship meeting, but only insofar as they worked within the proper order of things. This would seem to involve an established (and customary, cf. verse 16) dress code, whereby the women who spoke (praying publicly or prophesying) were expected to do so with their heads covered. Paul offers a number of arguments in support of this custom; it is not clear to what extent these are unique to Paul or reflect earlier traditional teaching. His arguments center around the relationship between men and women according to the order created/established by God. Most likely Paul (and others) felt that the (ritual) dress-code related to the worship-meeting expressed a specific Christian understanding—i.e. how men and women now relate to one another in the Community of Christ, which reflects a new created order. It is possible that some in Corinth felt that the new order (freedom in the Spirit) meant that one could ignore religious-cultural custom and convention. Paul responds to similar ideas throughout the letter (cf. especially in chaps. 8-10). Women were allowed to take an active (speaking) role in the worship meeting. This included “prophesying” which, in the early Christian context, meant an inspired utterance, a communication of God’s word and will to the Community. It was central to the worship meeting (14:26-33), considered as among the ‘greatest’ of spiritual “gifts” (12:28-31; 13:8; 14:1ff; Rom 12:6ff), and may be seen as holding a place at least comparable to the traditional preaching of a sermon. There may be some similarity with words of “prophecy” in modern-day Pentecostal/Charismatic worship; but a closer parallel is perhaps found in the traditional Quaker service. (1) It followed custom and decorum for women, both in the context of Greco-Roman (and Jewish) society, as well as their participation in religious ritual. There would thus be no cause for scandal when outside observers witnessed Christian worship. (2) It preserved a distinction between genders, which, if abolished in practice (and done so carelessly), could likewise bring shame and disgrace on the Community. (3) It was a symbolic reflection of the created order (as established by God), which likewise ought to be maintained within the Community. The head-covering also symbolized the authority/ability of the woman to perform her (ritual) role (as prophet, etc) in the worship-meeting. It indicated that she (and the Community as a whole) recognized both: (a) her unique gifting (as a prophet, etc), and (b) the order established by God. Application of Paul’s instruction in a modern-day (Western) setting is extremely difficult, since the overall cultural-religious context is so very different. Head-covering (and related dress codes) no longer have anything like the same meaning for us today. At one time it was customary for women to wear hats (and sometimes veils) when attending Church services, largely as a matter of pious routine, under the influence of 1 Cor 11:2-16; but this has been almost universally abandoned today. Much more important is the question of the active role of women (as speakers/preachers) in the worship meeting, as well as that of gender distinction—to what extent (and in what manner) should this distinction be preserved and symbolized in corporate worship? Central to Paul’s argument is the relationship between man and woman in the order of creation, which should continue to be reflected even in the “new creation” of the Christian Community (cf. the note on v. 10). Admittedly, Paul’s specific use and interpretation of the Creation narratives of Gen 1:26-27 and 2:18-23 is somewhat problematic for us today; yet it ought not to be simply brushed aside. Perhaps most significant of all is the entire issue of gender distinction for believers in Christ, especially in light of Paul’s famous statement in Galatians 3:28. However, before addressing this verse, it is necessary to examine the other main passage in 1 Corinthians dealing with the role of women in the worship-meeting (1 Cor 14:33b-36), which I will do in the next part of this series. References marked “Thistelton” above are to Anthony C. Thiselton, The First Epistle to the Corinthians (The New International Greek Testament Commentary [NIGTC]), Eerdmans: 2000, esp. pp. 800-48. A good compendium of modern scholarship (up through 2000), with extensive bibliographic notes. Those marked “Witherington” above are to Ben Witherington III, Conflict & Community in Corinth: A Socio-Rhetorical Commentary on 1 and 2 Corinthians, Eerdmans: 1995. Cf. also his Women in the Earliest Churches, (Cambridge: 1988). The priority (and superiority) of love is clearly stated, and is expressed, in practical terms, through the remainder of chaps. 8-10 and on into 11-12. The importance of love as a guiding principle for Christian thought and behavior takes on special significance in Paul’s letters in light of his teaching regarding the Old Testament/Jewish Law (Torah). For believers in Christ, the Law no longer has the same binding authority it previously had for Israelites and Jews; in its place, Christians are now to be guided primarily by two different sources: (1) the presence of the Holy Spirit, and (2) the example (and teaching) of Jesus. It was Jesus himself who first formulated the so-called “love command” or love-principle (Mark 12:28-34 par; John 13:34-35, etc) and gave it prominence for the Christian community. Paul builds upon this in his letters—Rom 12:9-10; 13:8-10; 14:15; 1 Cor 16:14; 2 Cor 5:14; Gal 5:6, 13-14; Phil 1:9; Col 2:2; 3:14; 1 Thess 3:12; 4:9; cf. also Eph 4:15-16; 5:2; 1 Tim 1:5; and is likewise found elsewhere throughout the New Testament and early Christian writings (e.g., James 2:8; 1 Pet 1:22; 4:8; 1 John 2:7-11, etc). It is important to note that Paul does not refer here to profane or ‘ordinary’ human knowledge, nor to some kind of false or ‘pseudo’ knowledge. The context clearly indicates that he is referring to special knowledge granted to believers through the presence and work of the Spirit (i.e. as a spiritual gift). In both references knowledge (gw=nsi$) is connected closely with prophecy—that is, a message communicated to believers by God through the Spirit. Even this sort of special (prophetic) knowledge must be guided by love, and, eventually, will cease working. There is considerable interpretive debate as to just when, or in what circumstances, Paul envisions such knowledge to cease. Those who believe that the spiritual gifts experienced by the Pauline churches, along with the miracles performed by the apostles, etc., were a temporary phenomenon limited to the early Church, might claim that they have already ceased. However, this is not what Paul has in mind; almost certainly his thinking is eschatological—prophetic knowledge and revelation will cease with the end of the present Age. From the early Christian standpoint, the end of this Age is marked by the sudden return of Christ to earth and the final Judgment by God, along with the resurrection/transformation of believers (ch. 15) and their entry into eternal life. Along with this, however, Christians also held a “realized” eschatology—believers in the present, through the Spirit, experience something of the reality of what waits for us in the end. This mode of belief informs Christian (ethical) instruction—we are to live and act according to the ideals which will be realized fully in the Age to Come. The growth and development of a human being (v. 11)—the adult ceases to think and act the way he/she did as a child; partly this takes place by conscious choice (“I ceased working [i.e. doing] the infant[ile] things”), which serves as a implicit exhortation to believers. The mirror (v. 12a)—ancient mirrors were normally made of metal, tending to be not nearly so clear as modern day glass-mirrors; moreover, they required polishing, which again suggests the ethical/spiritual intent and ‘work’ required by believers. Two forms of the same verb separated by two particles in tandem, create a comparative join. The sense of “knowledge” here has changed slightly—instead of knowledge as a prophetic/revelatory gift from God (through the Spirit), it now refers more directly to knowledge of God Himself. It is a different verb as well; instead of ginw/skw (“know”) it is the compound verb e)piginw/skw (with the prefixed preposition/particle e)pi). This verb generally refers to gaining knowledge about something (or someone), but often carries the nuance of recognition, acknowledgement, understanding. It can also have an intensive meaning, i.e. to know something (or someone) thoroughly, completely, intimately, etc. ; and this latter sense is in view here—”I will know (completely)”. The passive form (“I was [completely] known”) should be read as a so-called “divine passive” (passivum divinum), where God is the implied subject. Believers as “known” by God assumes the basic idea of election—of our being chosen beforehand, according to the will and consideration of God. This will be discussed in more detail in an upcoming article. It is possible, though not certain (or even necessary), that the aorist form of the verb used here specifically indicates election or predestination—i.e., as action which took place at a specific time in the past (before our coming to faith). At any rate, we have here in 13:12b, two fundamental aspects of knowledge in the New Testament—believers’ knowledge of God and His knowledge of us. This dual aspect will be explored further in the remaining article of the series “Gnosis and the New Testament”.